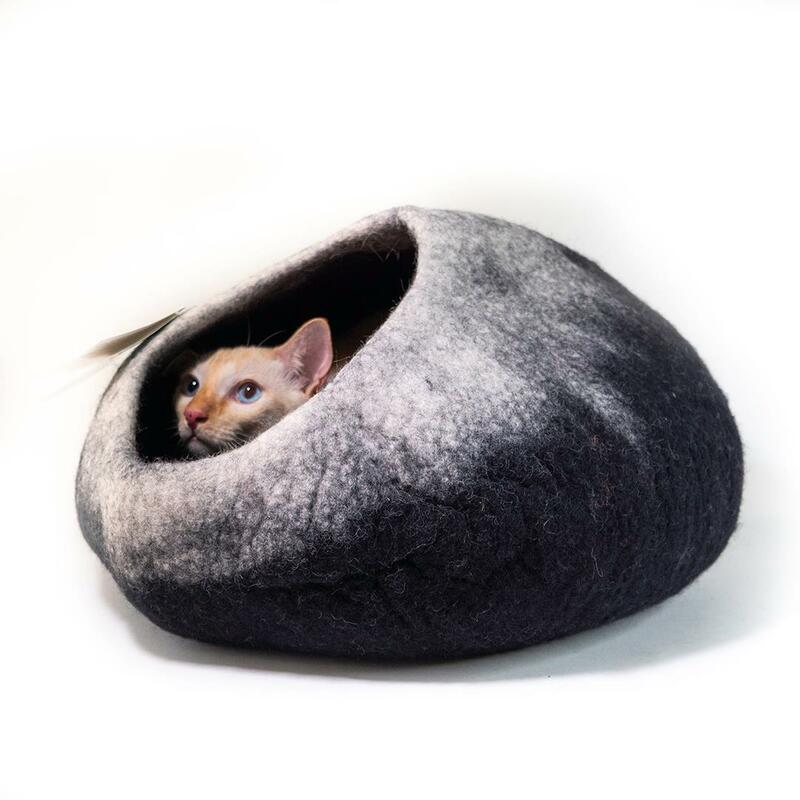 This egg shaped ombre cave is a perfect size and shape for your cat, and some small dog breeds, to sleep, hide and play. Caves provide a safe, warm haven and can help your pet feel secure. This elegant black/white cave will suit any interior. This ombre cave is approximately 20_ long, 14_ wide and 10_ high and is roomy for pets up to 12 lbs and cozy for those up to 16 lbs.